SS 321 Bolts, ASTM A 193 / ASME SA 193 Stainless Steel Countersunk Slotted Screw, Stainless Steel 321 U Bolt, SS 321H Hex Bolts, Stainless Steel 321 Eye Bolts, SS 321H Plow Bolt Supplier & Exporter in India. Asiad Steels is one of the known suppliers and manufacturers of Stainless Steel 321 Bolts and Stainless Steel 321H Bolts, which is available from us in various specifications to pick from. 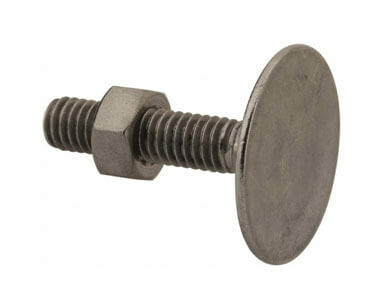 Buy SS 321 Bolts and SS 321H Bolts at reasonable price from us. Alloy 321 Bolts (Din 1.4541 Bolts) Stainless Steel 321 Hex Screws is generally used in Expansion joints, Aircraft exhaust manifolds, Bellows, Furnace components, etc. Stainless Steel 321 Hex Cap Screws is steadied in opposition to repels polythionic acid SCC and weld heat affected zone intergranular corrosion. Stainless Steel 321 Heavy Hex Bolts provides as its prime benefit with an exceptional resistance to intergranular corrosion after exposure to temp in the Cr. carbide precipitation range from 427 Deg C to 816 Deg C. Stainless Steel UNS S32100 Hex Bolts is an alleviated austenitic alloy which is same as Alloy 304 but through a titanium accumulation of minimum 5 times the content of carbon. Alloy 321H Bolts (Din 1.4878 Bolts) Stainless Steel 321H Allen Cap Screws is generally used in Aircraft exhaust manifolds and stacks, Jet engine components, etc. In Stainless Steel 321H Machine Screws, the carbon unites differently by means of titanium to produce innocuous titanium carbide, parting the Cr. in solution to uphold complete corrosion resistance. Stainless Steel 321 Countersunk Slotted Screws is titanium stabilised austenitic alloy that is recognized for its usual corrosion resistance. Stainless Steel UNS S32109 Socket Cap Screws is an extensively used alloy, where components are heated in carbide-precipitation temp range and wide-open to corrosive environment. 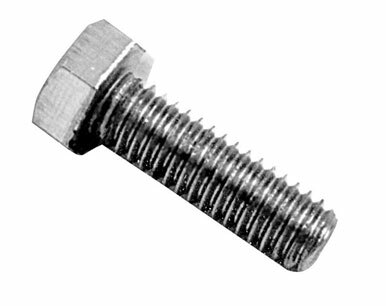 SS UNS S32100 / S32109 Hex Screw , Stainless Steel DIN 1.4541 / 1.4878 Castle Tap Bolt, SS 321 DIN 933 Bolts, 321 SS Stove Bolt, Stainless Steel 321H Allen Cap Screw Manufacturer & Stockist in Mumbai, India. 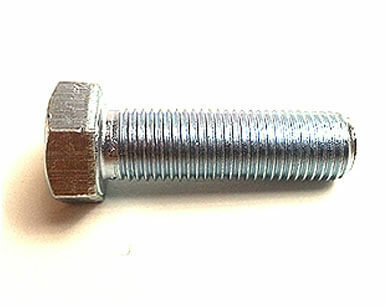 We are Exporter of SS 321 Bolt in Worldwide Such as India, Belarus, Azerbaijan, Philippines, Yemen, Gambia, Switzerland, Ghana, Poland, Kazakhstan, Chile, India, Iran, Austria, Namibia, United States, Nigeria, Lithuania, Algeria, Gabon, Nigeria, Qatar, South Korea, Netherlands, Belgium, Indonesia, Egypt, Argentina, Mexico, Spain, Colombia, Bolivia, Turkey, Costa Rica, Taiwan, Romania, Bulgaria, Finland, Ukraine, Bahrain, Sweden, Sri Lanka, Singapore, Lebanon, Malaysia, Vietnam, Peru, Canada, Nepal, France, Brazil, Norway, Morocco, Iran, Croatia, Puerto Rico, Oman, Ireland, Japan, Kuwait, New Zealand, Tibet, Poland, United Arab Emirates, Israel, Australia, Serbia, Kenya, Macau, Germany, Hong Kong, Afghanistan, Libya, Chile, Jordan, Zimbabwe, Denmark, Bhutan, Venezuela, Greece, Pakistan, Mongolia, Thailand, Mexico, Italy, Portugal, United Kingdom, Czech Republic, Bangladesh, Angola, Hungary, Estonia, Trinidad & Tobago,Tunisia, China, Ecuador, Iraq, Slovakia, Russia, Saudi Arabia, South Africa. We are Suppliers of Stainless Steel 321H Bolts in India Such as Mumbai, London, Dammam, Montreal, Visakhapatnam, Vadodara, Karachi, Bhopal, Brisbane, Chennai, Ernakulam, Dubai, Al Jubail, Caracas, Busan, Navi Mumbai, Baroda, Atyrau, Aberdeen, Granada, Houston, Nashik, Port-of-Spain, Bangkok, Ankara, Mumbai, Sydney, Moscow, Ahmedabad, Rajkot, Petaling Jaya, Abu Dhabi, Colombo, Kanpur, Gimhae-si, Ahvaz, Tehran, Secunderabad, Istanbul, Muscat, Ludhiana, Faridabad, Doha, Nagpur, Indore, Riyadh, Pimpri-Chinchwad, Courbevoie, New York, Gurgaon, Bogota, Thane, Pune, Jamshedpur, Bengaluru, Surat, Hong Kong, Jaipur, Kolkata, Los Angeles, Ranchi, Chiyoda, Toronto, Melbourne, Jakarta, Seoul, Sharjah, Manama, Noida, Kuwait City, Ho Chi Minh City, Vung Tau, Thiruvananthapuram, Calgary, Hyderabad, Jeddah, Geoje-si, Kuala Lumpur, Coimbatore, Mexico City, Lahore, Ulsan, Perth, Milan, Howrah, Hanoi, Algiers, Al Khobar, Madrid, Chandigarh, Lagos, Singapore, Edmonton, Dallas, Rio de Janeiro, New Delhi, Santiago, Haryana, La Victoria, Cairo.